Took this a couple weeks ago at Hampton Beach State Park. At the time the fair weather clouds were perfect, the best I've seen in awhile, but the wind was gusting way too hard to venture out on the beach. 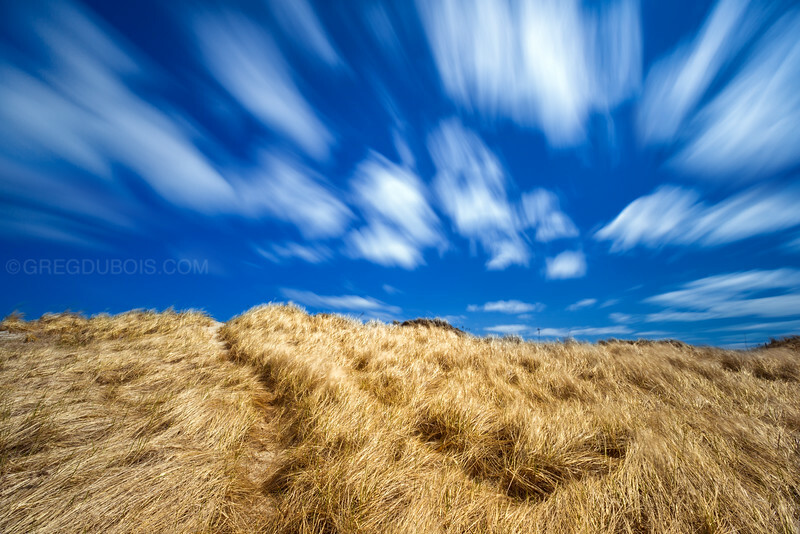 I figured I could take advantage of the beach grass and use color contrast to really make the sky pop. So I stuck to the dunes, and I set up all my equipment on the concrete away from the sand before venturing out. The wind was to my back and I was able to draft the gusts, which is the only I could have pulled off this length.